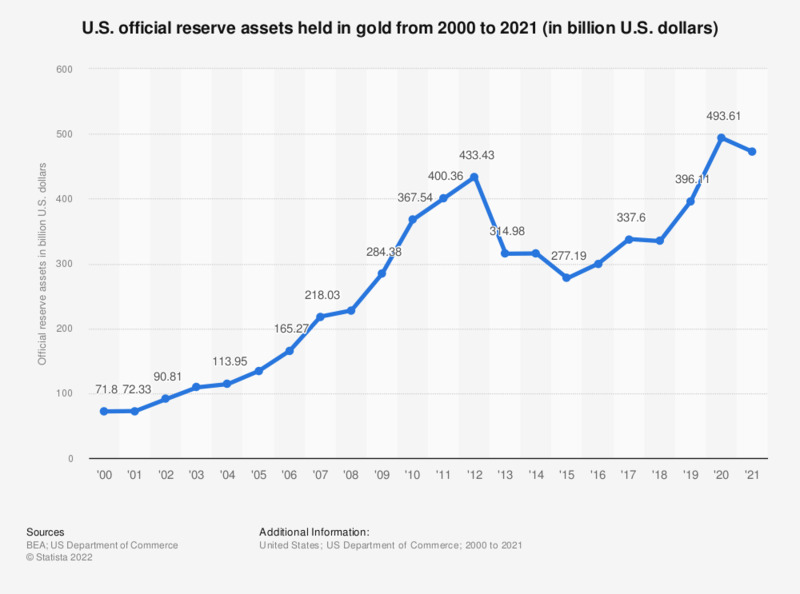 This graph displays the official reserve assets of the U.S. held in gold from 2000 to 2018. In 2018, the FED held gold as its official reserve asset with a value of approximately 334.46 billion U.S. dollars. The United States official gold stock is valued at market price.